Parliament has voted against leaving the European Union without “a deal”. Having lost a second vote on her withdrawal agreement on March 12, May agreed to let MPs vote on whether they would accept leaving the EU without a deal on March 13. They voted 321 to 278 against no deal under any circumstances. Some would say this vote is meaningless. Regardless of what the MPs say, the clock keeps ticking down to the UK leaving automatically on March 29. However, the vote is far from meaningless. It signifies that a majority in parliament understands that “no deal” is nothing like walking away from the purchase of a car. It shows that they don’t believe that the EU will blink and give Britain what it wants if the UK just lets things go to the wire (as some Brexiteers keep asserting). 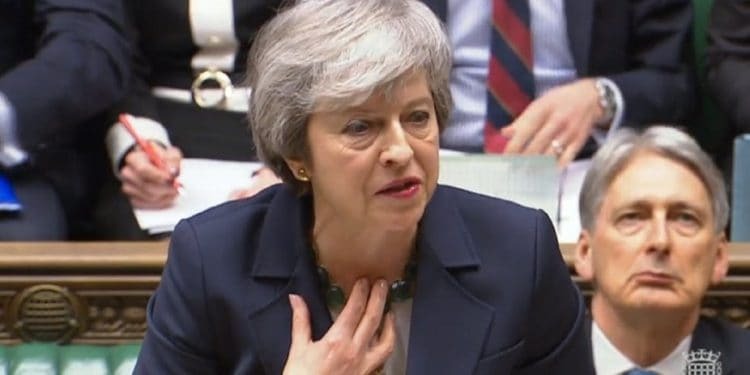 By initially allowing a free vote on this matter rather than whipping her party to support her, the prime minister was also tacitly acknowledging that her slogan “no deal is better than a bad deal” was just that – a slogan and a bluff called. It is also recognition of the political reality of a government ceding control to parliament given the likely scale of rebellion and resignations if whipped towards either outcome. Still at least 278 were prepared to vote against a motion that not only would have left “no deal” on the table, but could have been interpreted as a positive instruction to the government to rip up the withdrawal agreement negotiated over two years with the European Union if March 29 rolled around without any other option in place. The UK would then crash out of most legal frameworks that have governed trade and economic life in the country – not just with the EU, but many other trading partners – for decades, without a replacement. Such a decision would have created a major and long-reverberating political crisis, especially if the government refused to settle the £39bn bill it has agreed represents what it owes the EU for outstanding commitments. The EU has already made clear that without the withdrawal agreement, there will be no transition period. This would have led to a major escalation in rhetoric across the Channel, as the EU would have held the whole of parliament, and indeed the British political class, responsible for a final act of bad faith on the part of country. In the event of a no-deal Brexit, it is probable that mini deals would be struck in key sectors of importance to the EU. But, at the same time, the EU would apply economic pressure to get the UK to sign up to the essence of the withdrawal agreement – including the backstop. The UK may find it very hard not to give in to this pressure in a final act of humiliation. Meanwhile, there would be a surge in war rhetoric and polarisation between no-deal enthusiasts, who would invoke the spirit of the Blitz even more fervently, and those who think a no deal is entirely the fault of the UK government, with its unrealistic red lines and delay tactics. Sometimes, it is helpful to acknowledge the importance of the road not taken. What the vote against “no deal” does not do is prevent “no deal” from happening. It may still happen. No dealers in parliament might deliberately obstruct alternative outcomes or MPs might simply fail to agree on an alternative solution in the short time remaining before Brexit day. Unless it agrees to pass May’s deal, parliament has only two options under the Article 50 process. It could ask the EU for an extension. That would need to be agreed with unanimity by all 27 members of the EU. Some EU countries, especially France, have already expressed their opposition to granting such an extension just for the purpose of gaining more time to procrastinate further, prepare for “no deal” and thus inflict further uncertainty and political costs on the EU system and businesses. They want a positive resolution, which is in their eyes either the current negotiated withdrawal agreement (plus a tweaked political declaration putting a permanent customs union or Norway-Plus on the table, but not deciding on it now) or a decision by the country to remain for good – whether confirmed by a general election or a second referendum. The EU may require a minimum extension of, say, nine months or longer to get over the election of the European Parliament and the new European Commission. The Commons will therefore be under immense pressure to quickly decide whether they want to hold an election or a referendum and how much time is needed to do either. If the EU does not grant an extension, either because one or more of the EU member states has had enough of the uncertainty and procrastination and withholds its assent or because time is running out, then revoking article 50 is the only other option. According to the European Court of Justice, this needs to be done in writing, in line with the constitutional requirements of the UK and following a democratic process and it needs to be “unequivocal and unconditional” – the UK really has to stay. It cannot revoke Article 50 just to buy extra time. Such a decision could be followed by a general election in which parties will be faced with the decision to stand by their vote to revoke or to offer the re-triggering of Article 50 to start Brexit afresh. Needless to say, this scenario is the less likely, but in the current impasse and unusual circumstances, unexpected and unusual things may still happen.